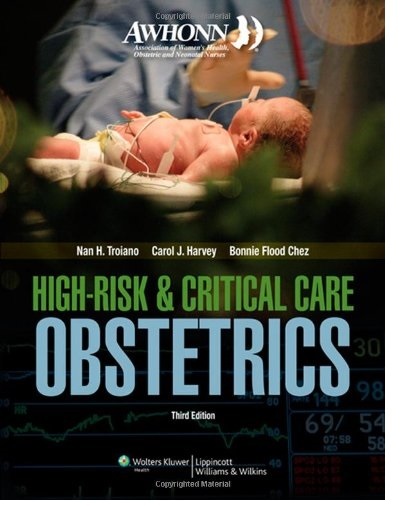 Co-published with the Association of Women's Health, Obstetrics & Neonatal Nurses (AWHONN), this comprehensive book on advanced obstetrics practice focuses on the care of childbearing women with complications during pregnancy and the related professional concerns of perinatal professionals caring for them. This substantially revised edition reflects the significant change in this specialty area and the need to collaborate in practice to maximize patient outcomes. All chapters have been revised by RN-MD author teams. This edition includes the AWHONN Perinatal Morbidity Advisory Panel Top 5 Issues: obesity, thromboembolic disease, diabetes, perinatal infections, and cardiac disease. The entire first section presents the realities of today's practice including ethics, collaboration, and patient safety. Nineteen chapters detail the primary complications of pregnancy.